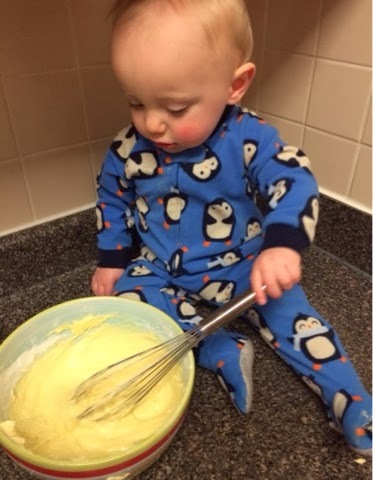 Babywise & Beyond: Having Fun in the Kitchen with Toddlers! 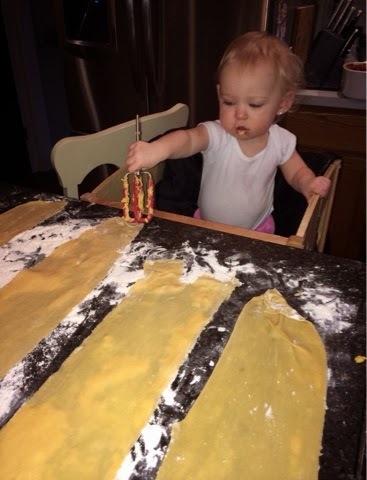 Having Fun in the Kitchen with Toddlers! 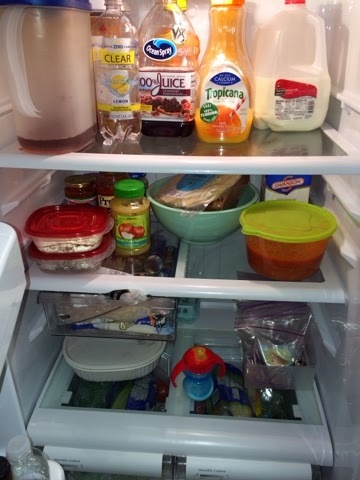 As a mom of 3 kids, I spend a lot of time in the kitchen. With 5 people mouths to feed, I'm usually serving a meal, checking the fridge (for myself haha), washing dishes, emptying the dishwater, etc. I noticed 2 things throughout each day that were becoming pain points for me (or situations in which my twins would whine non stop until I paid attention to them). 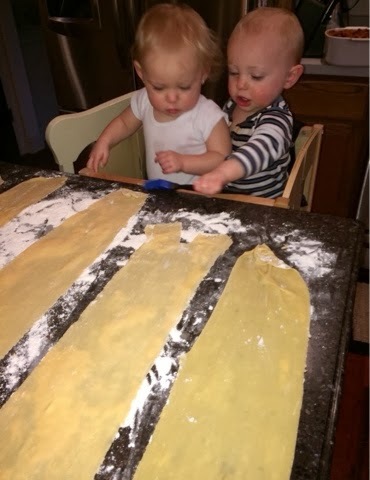 The first was when I was cooking or baking, they would want me to hold them so they could see what I was doing. Well that would actually be do-able if their was only one of them (or they weren't trying to crawl out of my arms and grab everything on the counter. 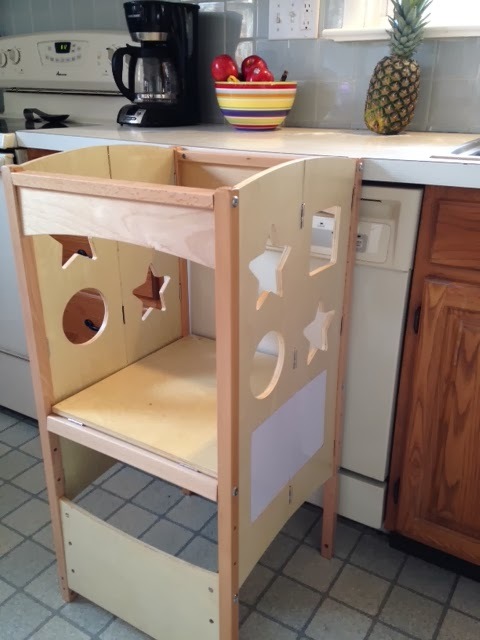 Enter the Kids Kitchen Helper Tower. If you're a fan of my Facebook page or follow me on Instragram, you've probably seen Y & H make an appearance on the Tower. It is PERFECT for the times you're trying to cook or bake or do the dishes or really do anything where it's safe for them to be counter-height with you and you don't have the ability to hold them. 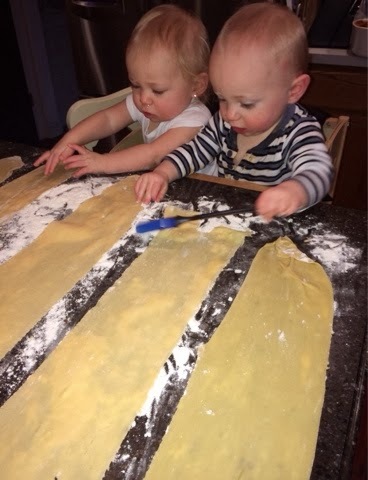 This opened up so many possibilities in our family- we were able to fill many snow- filled winter days with baking cakes and making homemade pasta. 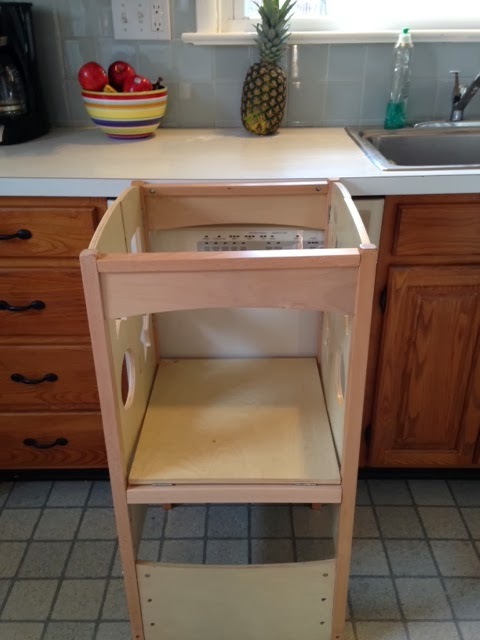 I HIGHLY suggest getting one if you like to be in the kitchen and are having difficulty figuring how to do so with a toddler. The second pain point was snack time. They were fine with me putting them in their high chairs and serving them a snack, but I knew they were old enough to begin a new routine. Working with kids, I saw how easily it was for us parents to become so entrenched in the day-to-day, that we don't realize that a lot of activities our toddlers can now do on their own. 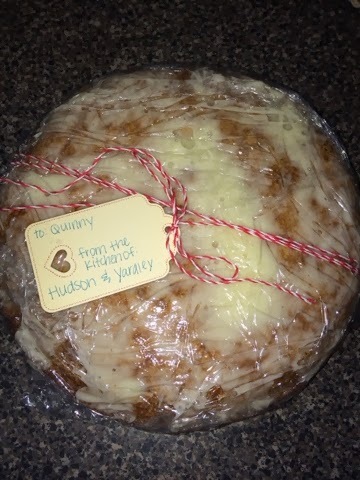 So, I took to the Internet and copied implemented an idea I had seen on Pinterest. 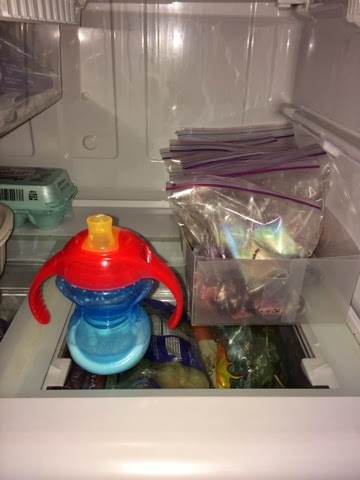 I cleared out the bottom shelf of the fridge and put an Ikea plastic box organizer on the right hand side and their sippy cups on the left of it. 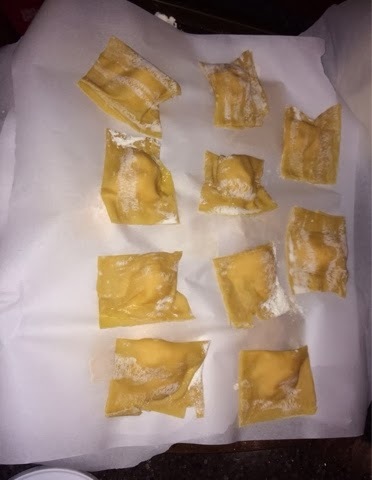 I chopped up different fruits and mixed 2 different kinds together and put a snack size amount into a small Ziploc baggie and lined them up in the Ziploc baggie. Eventually, I'll put other snack ideas on the bottom shelf as well, but for now, this is good enough and doesn't overwhelm them with choices. I've noticed a MAJOR difference in a large part of the day with the help of these 2 ideas. Now I'm able to share counter-height activities with them and they're able to pick out a snack baggie and their cup on their own. It's adorable to see their smiles when they express their independence in getting their own snack. 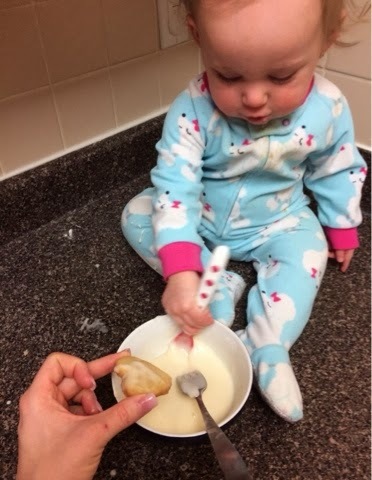 Do you have any ways you let your toddlers help in the kitchen? 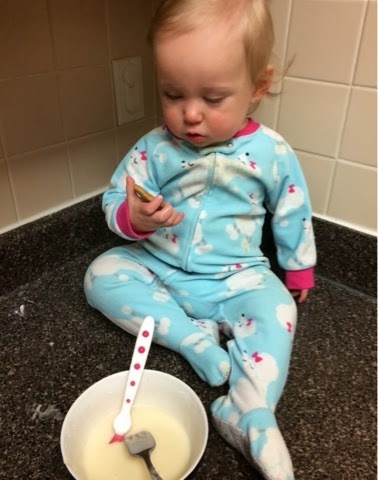 What ways do you let your toddlers express their independence through out the day? I'm always looking for new ideas!